← Lipstick: Don’t Leave Home Without It. 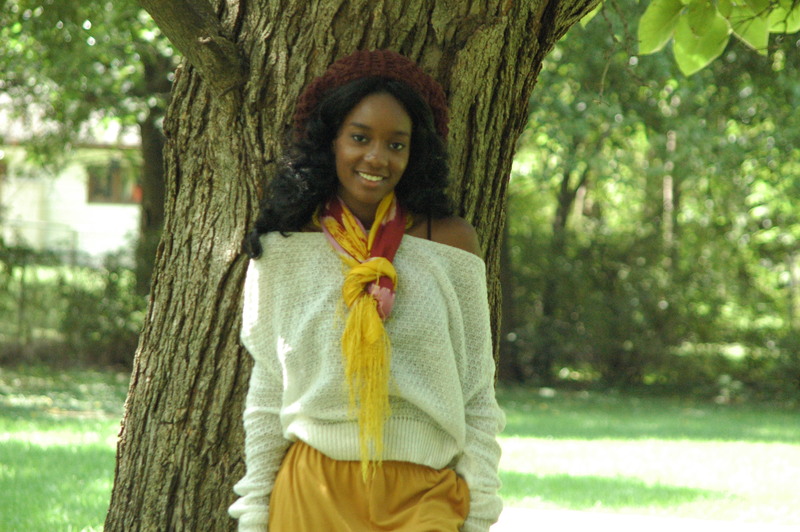 Scarves can quickly alter a person’s appearance by enhancing their outfit, hair, facial features and even mood. Scarves can and do update an outdated dress or suit, distract the eye from an illness or sickly pallor, add mystery to a person’s personality, cover up a bad hairdo, or make a good one look even better. 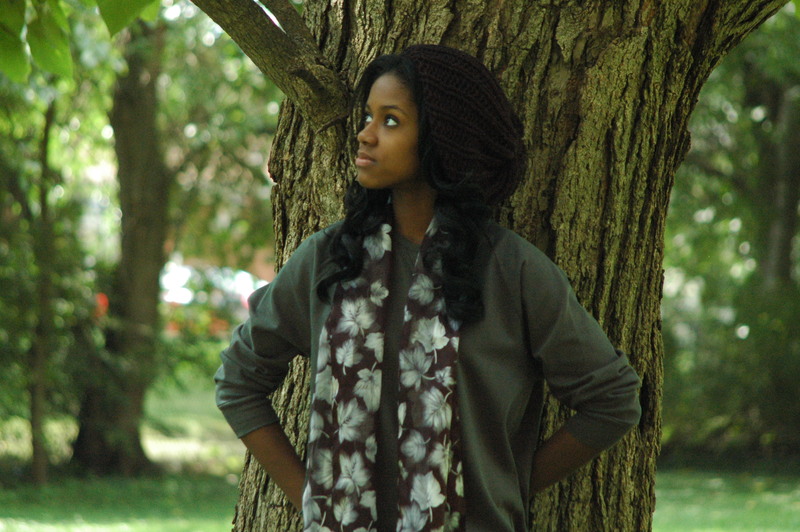 Scarves brighten a mood, add an air of sophistication to a plain coat, or for a shy person, attract attention. Unlike wool caps, scarves are not packed away during the summer. You are not restricted to wearing one during a certain season, or particular time of day. 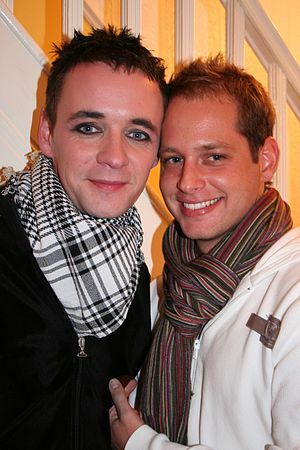 Any woman or man can wear a scarf, or two, at any time and not be out of step with the current season or fashion trends. Women wear scarves for many reasons, but most often to add finality to their ensemble. Wearing a scarf is like signing a painting. It says to others, my look is finished, and this is how I feel today; bright red with a dash of blue and a dab of kelly green. It is a signature, and who could argue with a woman bold enough to make a statement about her individuality and sign it with a brightly colored scarf? Such a woman declares to the world that she will not hide. In a very personal way, when she puts on a scarf, she not only completes her look, she also attracts attention, and when they notice, without uttering a single word, she tells them “I am here”. When selecting a scarf, what are good colors for my skin tone? If you’re serious about looking your best, before you go shopping for scarves, visit a color expert and have your skin tone analyzed. If that is out of the question, another alternative is to go shopping and try on the same or similar outfits in different colors (one or two colors from each season) to see which colors look best on your complexion. If you look absolutely marvelous in a black suit with a white shirt, you’re probably a winter (blue undertones). If you look great in orange, you are almost certainly a fall (reddish skin tones). 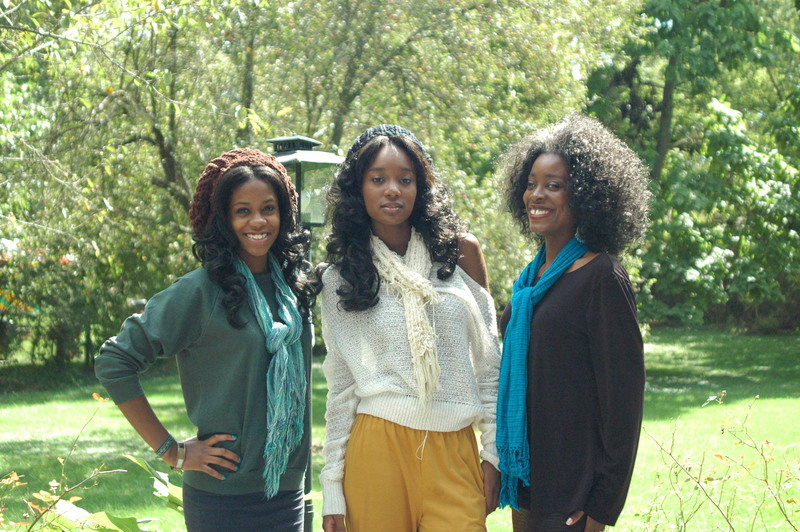 Now all you have to do is choose scarf colors that enhance your appearance and bring your complexion to life. When it comes to accessorizing an outfit with a scarf, knowing your colors makes all the difference. Note: Skin tones are divided into two temperatures, cool and warm. There are 4 subcategories or seasons: Spring (warm), Summer (cool), Fall (warm), and Winter (cool). Springs – For this complexion, the undertones are warm, pale yellow or peach colored. The skin is light and the hair color is often blond or one of its shades (strawberry, golden, auburn). There are exceptions, sometimes, women with dark complexions can be summers. Eyes are clear blue, deep blue, aqua, green, light golden-brown, topaz brown, or hazel. The hues that tend to look best on you are also pale rather than dark (black or navy). Stick with scarves that are light and/or the lighter muted shades. Summers – Women with summer complexions have cool or blue undertones. Your skin coloring is fair and your hair is likely ash or gray blond, light brown or brown. This group also includes light-complexion multicultural women with darker hair, but there are exceptions. Your skin type is cool with red or pink undertones. Eyes are blue, clear icy blue, gray-green, green brown, blue/brown, rose brown, or gray-brown. To look your best, wear pastel colored scarves. Falls – The following colors work well for women with red, red-orange or reddish-brown hair. The skin tones are warm and ruddy with pink, peach, or red. The eyes are brown, hazel, pale clear green, turquoise blue. This group looks especially attractive in browns, greens, oranges, i.e., earthy tones. Because your skin type is warm with reddish undertones, it is imperative that you know your colors as women with red undertones in their skin or red hair will not do well wearing a scarf that falls outside of their color pallette. Winters – This skin tone is often associated with African-Americans, Asians or women with dark hair and brown eyes. Winters have cool skin tones with an underlying blue color. The hair is usually brown or black. The eyes are shades of brown, hazel, blue or green. If you are in this group good color matches for you are royal blue, turquoise, and black-brown all of which do you justice. When you are in the market for a new scarf, start with colors from the following list. Whichever skin tone you’re blessed with, you will look especially vibrant wearing just the right color scarf. This is particularly true when wearing a scarf near your face, such as around the neck, over a jacket or covering your hair. In addition, if your favorite color is orange, but you look ghastly wearing an orange scarf close to your skin, simply tie it around your waist and wear it as a belt. It will look great with a pair of slacks in a complimentary color. Finally, scarves are jazzy, cool and uplifting. If you are having a bad day (or think you might) before leaving home, just slide a scarf around your neck, tie it in one of your favorite knots, or let it hang loose and you are all set. Thank you for putting me in related articles! I followed, I like your blog! Thank you I love your blog too! This inspired me to go out and buy a few scarfs!!!!! Nice post, I like your last one image with couture scarves. Because i also wear it.